‘Take care of your body. It’s the only place you have to live’. Big things take time and if you want to make difference in the world the first step is to keep yourself healthy and happy. We all know that we could improve our health by fixing our daily routines. Unfortunately because of stress and busy schedules we push ourselves to be lazier. So let’s find out a way to lead our life in a more happier way. Here are some best habits for you which will help you to get a healthier and happier way. And they don’t take an entire lifestyle to add them into your daily routine right now. A good and effective way to relax our mind and body. Try to sit wherever you like and try to relax your body. The intention of this exercise is to keep you calm and give you a healthy start for the day. There are many types of meditation exercise you should try them at least once in a day. Set up a timer for 5-10 minutes, find a comfortable spot, close your eyes, take a deep breath and give a shot. Listening to the music of your favorite collection is also a good means to relax your mind. If you are health conscious person you would like to go for gym and running but if you not able to do so due to your busy schedule then don’t think too much. Another way to stay healthy is to walk more and more and aim up to 10,000 steps a day. Walking is a good way of exercising, it increases your metabolism and regulates your blood pressure which helps to fight with various heart diseases. I know, you have to busy schedule you can’t make efforts to go for gym and even running a few laps of a ground. Or even you have no time to meditate for 5 min. because you may have lots of work to do which don’t let you sleep early at night. These excuses are valid in their own way, and yes, we’ve all been there. But if you want to stay healthy and fit than you have to make tough choices and give your health a top priority today. Joy comes to us in different flavors or color; just we have to give us chance to enjoy those moments. Listening to music. This can be more relaxing any energetic start to the day. You can play your favorite during taking a shower or during a morning walk. Take a collection of your favorite music and try to listen to it when you are free or stressed, it will definitely helping you to find yourself under those lyrics. Give your body an occasional massage— this is a real treat that you know you deserve. It is a good way to honor your body and relax your mind. Plan some quality time with good friends and family. Be with people you love & who love you will make all the difference in your overall feeling of happiness. We all eat more than necessary! Health is of paramount importance, and what we eat and drink will matter directly to health. Never eat too much. One serving per meal is all anyone needs from a nutritional point of view. Star using smaller plates and bowls it will prevent you from taking larger diet than required. Make your protein the side dish. Fill up your plate with your salad and vegetable. Serve yourself with the required nutritional diet. Having a good Sleep plays a vital role in good health and well-being throughout your life. Quality sleep at the right times can help protect your mental health, physical health, quality of life. The way you feel while you’re awake depends in part on what happens while you’re sleeping. 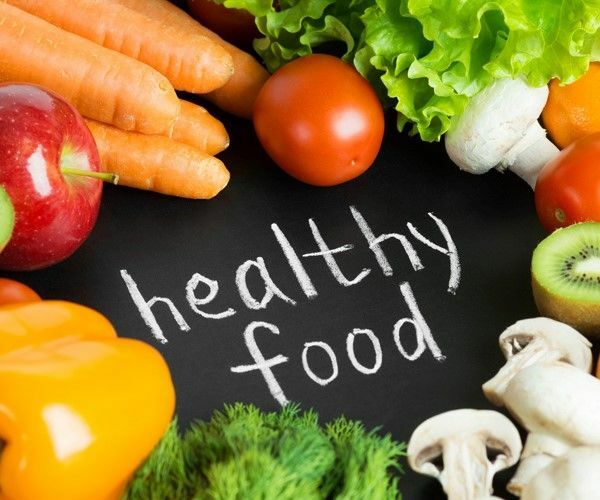 According to new reports of healthcare services, the main reason for many diseases arises today is due to the food we eat today. Eating without diet plan can worsen our lives in the future. Always focus on fruits, vegetables, and whole grains and keep red meat to a minimum. It’s also important to lose on bad fats (saturated and trans fats) and choose healthy fats. Taking a multivitamin to complete your missing nutrition value. Use to eat food which is fried or cooked in less fatty oil. Cut off eating foods which have more sugar contents. All I want to say; eating is good but to keep yourself safe and healthy you must prefer the best diet plan and focus on eat quality food and keep a day in a week to eat whatever you like to eat the most. This is the best way to stay healthy wealthy and wise. Goodluck!